But not everyone can do this right? You need to be a professional programmer and pay expensive fees to get into events? Wrong! So wrong! There are always sprints around the globe and more and more local Drupal events are announced every day. Starting out with a simple issue on a one day sprint is a great start. Drupal can always be improved in all kinds of ways whether that is accessibility testing, documentation, perfecting button colors and radiuses or finding and documenting bugs. All of those are great contributions. The best places to immerse yourself in contribution are multi-day sprints though. If you have any opportunity to go to those, I would definitely suggest you join one. Why? It takes a fair bit of time to get set up, understand the issue, start providing a solution and even though at the end of the one day sprint, you will promise to get back to it a week later from home, it is almost certainly not going to happen. There is nothing wrong with you, you just have other priorities when you get out of sprint-mode. So for ideal involvement pick a multi-day sprint. It is not only that you have more time to work on things, you can get to know the people better as well on the social events. Some conferences, especially DrupalCons include extended sprints before/after the event. If you just go to the main conference days, you have much less chance to interact with people who shape the future of Drupal, while at the extended sprints, you can get involved and work with them real time. How is that for growing your potential? DrupalCamp Spain in Valencia is coming up in a little over a week on May 16-18th. All three days have sprinting opportunities and some of the leaders from multilingual, frontend and migrations will be there! Some people may only be aware of the Friday sprint at DrupalCons. Get a lot more out of the event by being involved with the pre and post sprints as well. DrupalCon Austin sprints last from as early as May 30 to as late as June 8th. Likewise DrupalCon Amsterdam sprints will be on from the 27th of September to as late as 5th of October. But DrupalCons are expensive, no? Well, there is no ticket needed to attend on the days when there is only sprinting, that is the pre/post sprint days and the Friday sprint. So if you join at the end, there is 3 days of consecutive working with the Drupal community for no charge where the people you interact with have no conflicting schedules to do or see sessions. How is that for hands-on experience? Hope to see you at one of these events and other sprints in 2014 and onwards! Learn Drupal by getting involved, it is for the benefit of us all! Did you expect to see how Drupal 8 improves multilingual tasks at NYC Camp? Well, bad luck! I'd like to apologise in place of the NYC Camp team for their messing up the schedule yesterday and their lack of communication following. I was told to set up for my presentation in a room that was not even meant to be a presentation room, let alone my presentation room, even though it was confirmed by several volunteers coming to the room. Later on yesterday, several people asked me why I did not show up for my session. I did. I would have loved to talk to you, bring you all the good news, answer your questions and hopefully inspire you to join our efforts. I did not get a chance this time. Hope to catch up with you sometime later at other events! We are heading towards the first Drupal 8 beta and there are several opportunities to help fix your pet peeves, help round out the Drupal 8 Multilingual features and just explore what is there and find and reproduce bugs if you are not that deep into development even. The following events host sprints where well known names of some of the Drupal 8 Multilingual team will be present. Meet and join us there to help get Drupal 8 to release sooner! Participate in great Drupal 8 training at DrupalCamp Vienna! Drupal 8 is coming up! Check out https://drupal.org/drupal-8.0 for all the goodness that is coming! While on the surface, a freshly installed Drupal 8 does not look all that different than Drupal 7 (the backend looks and the menus are similar), the underlying system is way more powerful and flexible. We turned flexibility up a notch in countless areas. How best to get to know this new version? 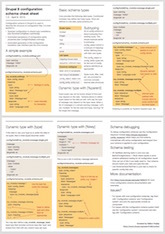 Well, there are blog posts and videos plenty as we get closer to Drupal 8 being more stable. I am writing an article series on multilingual improvements myself. We do know that some people learn great on a focused day of training though, so some of us decided to offer community training (read: really cheap!) before DrupalCamp Vienna on several Drupal 8 topics. 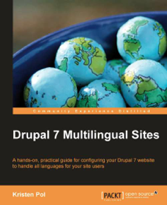 Along many other great trainings, on November 21st 2013, I'm doing an all day hands-on with Drupal 8's multilingual system including site building and some coding as well. I'm really looking forward this training because I have seven years of experience commercially training people on HTML, Perl, PHP, XML, XSLT, Drupal, etc. and really love the work that is going into assembling materials and setting up a coherent system to teach capabilities and possibilities. I am also looking for this opportunity to find more Drupal 8 bugs (which I will both in preparation and we will as part of the training, I'm sure - Drupal 8 is not yet ready after all). This is a great opportunity to do some deep-dives into what changed in Drupal 8 and learn the new best practices. I did presentations about Drupal 8 multilingual improvements at various camps and DrupalCons and the feedback was amazing. Someone wrote in Prague: Good session, maybe it would need a little bit more time or limit the content. Presentator felt little overconfident, but that may be just me. He certainly knows what he is talking about.. I cannot help the strong confidence, as I really think Drupal 8 is going to rock your socks off in terms of multilingual improvements. But this is the opportunity to have plenty time to explore all the changes and get to know in a way you would not have a chance for a long while at least. 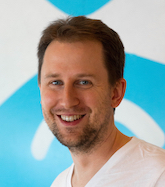 Sign up for the training at https://2013.drupalcamp.at/trainings/tickets, it is just 50 EUR. See you there! 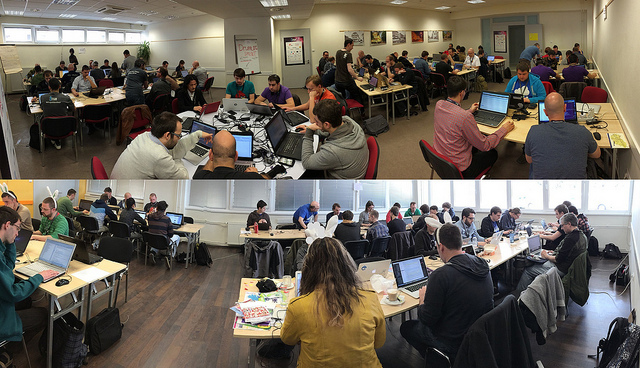 Read more about Participate in great Drupal 8 training at DrupalCamp Vienna!